Alexandra Bee Blog: Giveaway: LAST CALL! Wow, THANK YOU for all the wonderful responses and recommendations yesterday! Bryce and I spent most of last night chattering with excitement about our trip! We also definitely will be having to plan multiple Charleston trips over the years to make it to all the wonderful places y'all suggested! 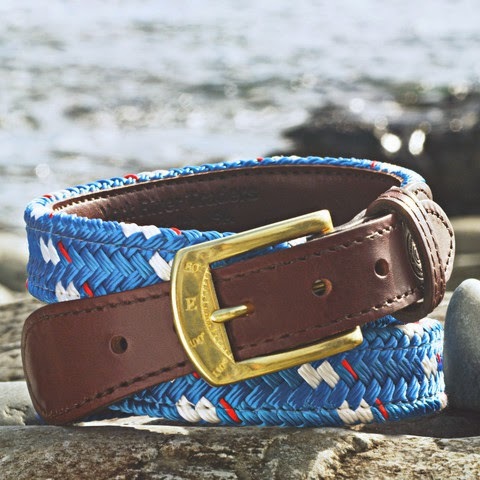 Today I just have a quick post reminding you that it is the last day to enter my Mariner Rope Belt Giveaway. The Rafflecopter widget will close at midnight tonight and tomorrow I will be announcing the winner!